Today is Hiveword’s fifth birthday! Or anniversary. Whatever you call it it’s been five years of helping writers achieve their dreams. I’m both excited and proud of that. This post is a bit of a retrospective. There will be behind-the-scenes information and maybe even a baby picture. Tomorrow I’ll have some great tips from Hiveword power users so be sure to check that out, too. But for now it’s time to get retro. In 2008 I conceived the idea for Hiveword. Man, was it going to be cool! However, I didn’t start development until 2009. Sadly, 2009 passed by. Then 2010 and still Hiveword was not available to the masses. I’m not even sure why it took so long. Crazy. In January 2011, Hiveword was born. Sort of. 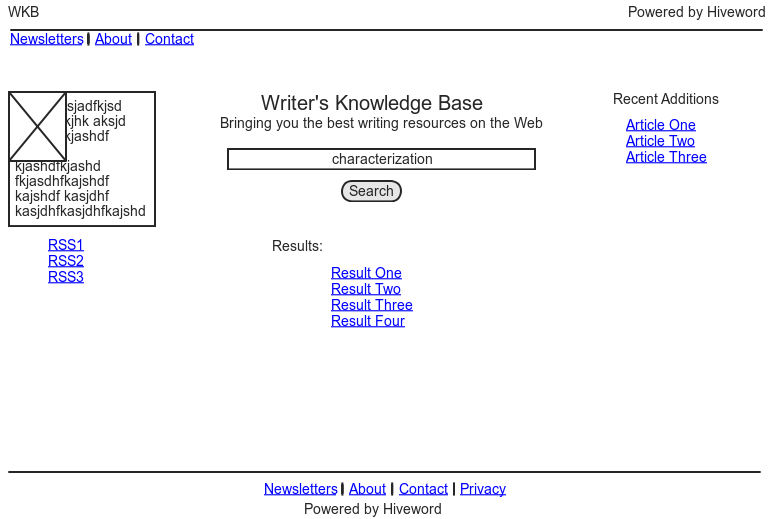 You see, while I was working on Hiveword, author Elizabeth Spann Craig and I joined forces to unleash the Writers’ Knowledge Base (WKB) on the world. 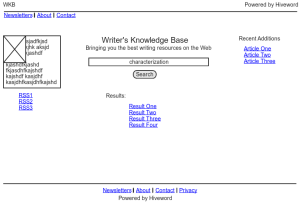 The WKB is a search engine for writers with nearly 40,000 articles on writing. The collaboration was serendipitous in that I had had a back-burnered idea for capturing writing articles in a search engine and coincidentally Elizabeth wished for a way to make her tweeted articles significantly less ephemeral than the Twitter experience. You can learn more about the WKB birth story here. So, Elizabeth got me as a developer to help with her problem. I got a shiny new project to work on which was great for procrastinating on Hiveword. What could go wrong? Nothing went wrong and the WKB has been a well-loved resource for writers. To this day it captures Elizabeth’s tweets and makes them available to writers via the search engine. A very recent development is that the articles are now categorized such that the WKB will be a search engine AND a directory of articles on writing. While you may look at the WKB and see a stand-alone website, it’s actually an integrated part of Hiveword under the covers. In fact, that integration is most evident via MyWKB (launched in 2012) which is a personalized form of the WKB. For example, MyWKB will show you a list of the new articles since the last time you logged in. This will eventually allow you to get emails of new articles by category if you so choose. Basically, the WKB continues to grow up. Speaking of growing up, Hiveword had been gestating for a long time by this point. 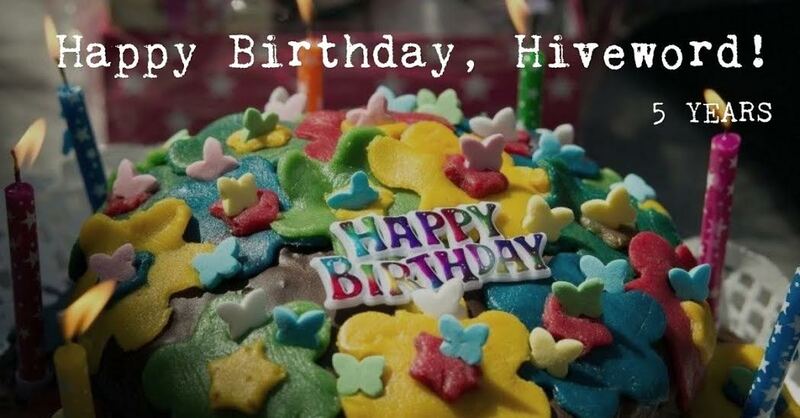 Finally, in November 2011… Hiveword was born! Hiveword is a free novel organizer which lets you track characters, settings, scenes, etc. Tens of thousands of people have used it to organize their novels and it makes me very happy that I’ve been able to help them in this way. Is Hiveword pretty? No, not in the least. My baby is UGLY. But, it is functional and I’ve gotten many compliments on how easy it is to use so that warms my heart. Between 2011 and early 2013 Hiveword was steadily improved but nothing flashy. As I mentioned above, MyWKB was released in 2012 to personalize the WKB. Then, in early 2013 I approached author and writing coach James Scott Bell to see if he’d be interested in collaborating on a software product for helping writers. Luckily, he was interested and in 2013 Knockout Novel was introduced. Knockout Novel is based on Bell’s Plot and Structure book and guides the writer through interactive, self-paced prompts to polish a story to a fine sheen. Like the WKB before it, Knockout Novel is an integrated part of the Hiveword novel organizer. In the case of Knockout Novel you can have your story with all of its characters, scenes, and whatnot along with your answers to the Knockout Novel prompts. Knockout Novel gets you lifetime access to the product and you can use it on as many stories as you’d like. Knockout Novel was my first real foray into charging for a product. Getting some money coming in was great because it helped to defray the cost of running the site. A free novel organizer isn’t free to everyone, after all, and I was glad to have some help footing the bill. Things were kind of quiet after Knockout Novel was released until early 2016 when Hiveword Plus was introduced. Development in that area has been at a feverish pace. Plus is a set of premium features for Hiveword including custom types and fields, image uploads, etc. While most people can (and definitely do) get by on what I now call Hiveword Basic (the free version), folks serious about organizing will love what Plus offers. To my knowledge, no other organizer allows you to create your own types or add fields to existing ones such as scenes or characters. Want to track spells? You can do it. Want to add an area for Theme on a story? You can do that, too. This is by far my favorite feature because users can customize Hiveword to their needs. Hiveword Plus is under very active development. It’s a subscription service and is billed yearly. Today, it’s still at the introductory rate of $25/year as a thank you to early users. So, you’re now current on history. I hope it wasn’t too boring. I have so many awesomely huge ideas for Hiveword that I will continue working toward my original vision for some time to come. Tomorrow I’ll continue the birthday celebration with some awesome tips from Hiveword power users. What’s your favorite part of the Hiveword suite? There are only two days left to win Hiveword Plus or Knockout Novel. Check it out before it’s too late!